It looks like that's all she wrote folks. HTC has officially, yes officially officially, announced that they have in fact cancelled the ICS Upgrade to the Desire HD. The proper news has been passed on to the appropriate PR agencies and HTC's official blog list of devices to be upgraded to ICS has also been updated to reflect the cancelling of the upgrade. Check out the official statement after the break. Sad ending to what was a ride hopes of an early upgrade to finding out the update was cancelled all together. 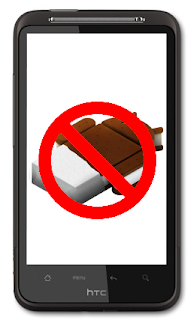 For those of you who aren't satisfied with Gingerbread, and we know there are many of you, you can be certain third party solutions will be made available on XDA Developers, remember to peruse at your own risk.